Edraw chart maker is a perfect choice for you to draw all types of charts including bar chart, column chart, pie chart, line chart, spider chart, scatter chart, area chart, scatter plot, bubble plot, doughnut chart, comparison chart, status table, etc. Chart maker provides an easy way to make charts. You can use it to generate charts and graphs in minutes and share others your creative ideas. Whenever you need to make chart to do technical analysis, come and visit Edraw chart maker. It has what you need! What Makes Edraw the Best Chart Maker? Charts are good and effective way to show relationship between entities but sometimes creating one can be pretty challenging especially when you do not have wonderful drawing skills. The best chart maker is easy to use and you do not even have to worry about the design. Your output will be as good as what you see in the screen shots below and on our website. Below are the screen shot of the chart examples made via chart maker. Making charts via software is a great way to track trends and help explain complex datasets. Edraw chart maker provides you massive ready-to-use chart templates. 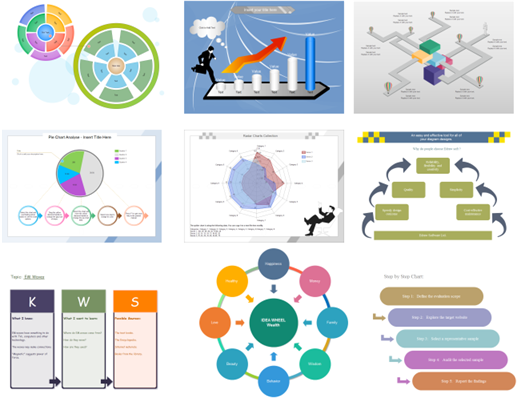 With so many chart templates for you to choose, we believe that you can always find one you like most. You can rest assured that Edraw chart maker is a wonderful chart software. 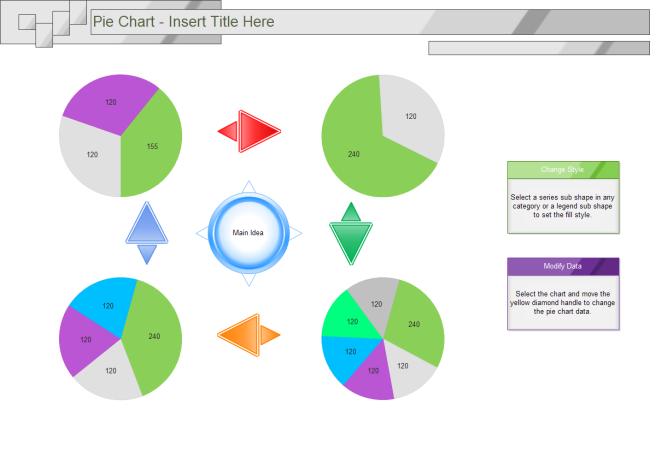 Of course you can also modify the existing chart templates and make your own favorite charts. Do not forget to share your wonderful work made via Edraw with us. You can read how to make charts from predefined templates. Charts and graphs are effective tools to convey information in a simple and visual way. Therefore, charts and graphs are wonderful assistants to attract your audience's attention when you make presentation. Edraw chart maker is a perfect choice to do financial analysis presentation, science report, forum posts, university speech, etc. Edraw chart maker enables you to make beautiful charts even on the fly, which greatly saves your precious time and greatly improve your working efficiency. Acts now and download our chart maker here!